We are Essex. We are young. We are ambitious. We are well educated. We just started our own business and we need your help...! We are a group of four young and ambitious students who set up their own company in 2015 (Company number 09700047) - just 10 days after Graduation. 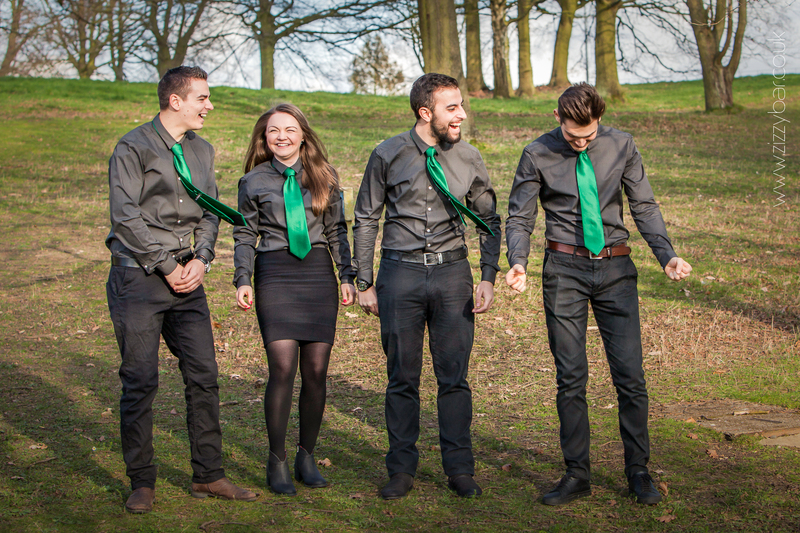 Our initial aim was to open the first "Green Smoothie Bar " in Colchester but after facing various barriers with hiring the venue and getting a licence from the Council, we changed the plan. 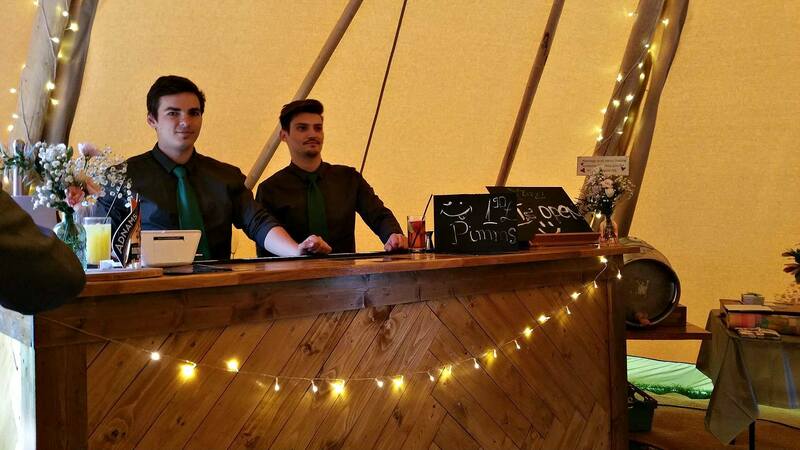 Our substantial market research showed that Essex is the area where people have the highest number of weddings and engagement parties which immediately pointed us to the idea of establishing our own mobile bar company. Everybody need a drink when they have a special occasion, don't they?! We had to hire glassware and a mini van in order to do our first wedding. Yes, you heard right! We already did 3 weddings and 1 private party which means we are a running company now! As you can see we have put some real effort into it and we have made it work! But we need your help to expand on that and buy some additional equipment. Any additional money raised would go towards our online marketing campaigns. We would really like to start getting some more quotes from our website (which we have spent so much effort, time and money to create) and the only way to do that is by building good online presence. 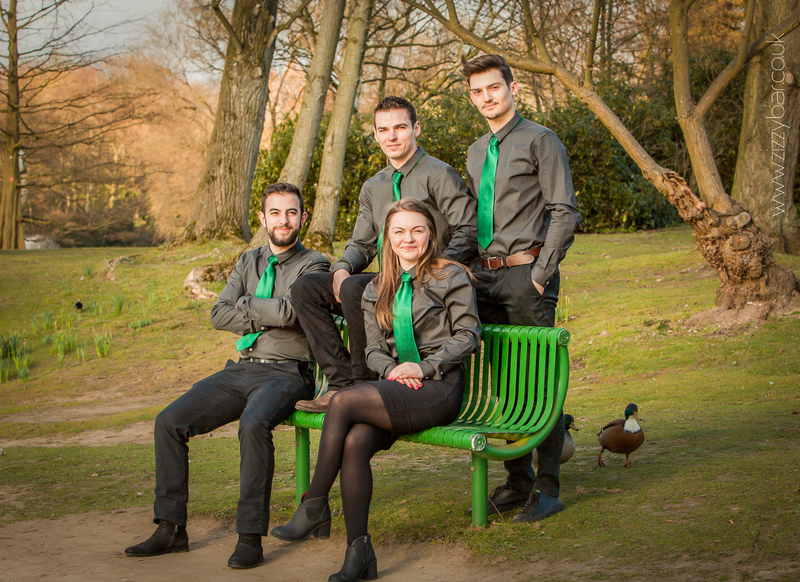 Some shoots from our first photo session as a team! 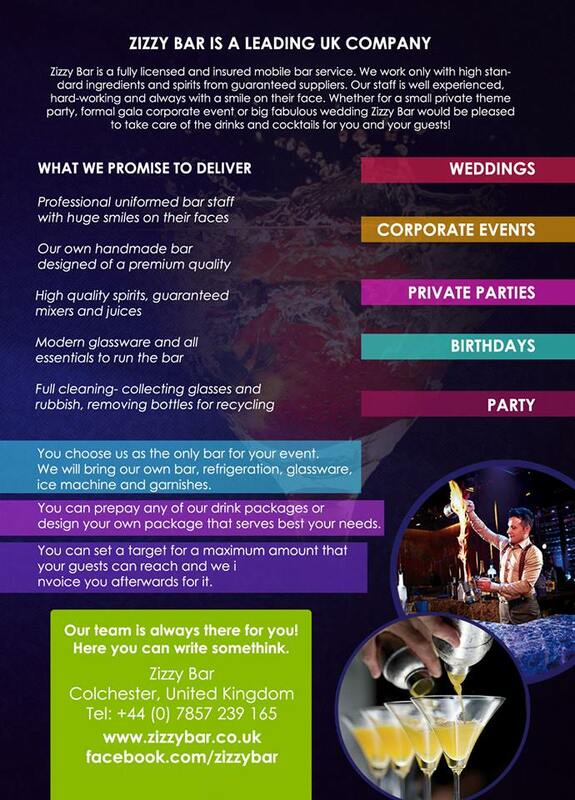 http://zizzybar.co.uk/ We have put so much effort into this website, please visit it! 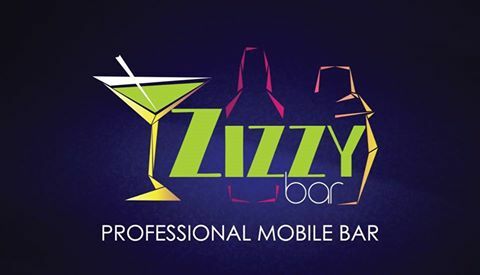 https://www.facebook.com/zizzybar/ We would love to see your review or comment here! https://twitter.com/zizzy_bar Yet not the most active account of our business, but we are working on it! 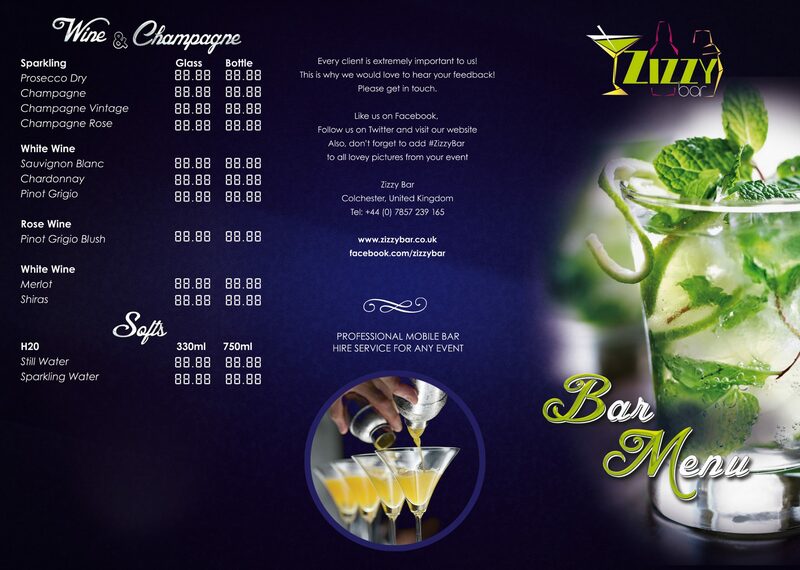 https://www.yelp.com/biz/zizzy-bar-colchester Check us out on Yelp! Every review will be much appreciated! We are a business.. if you don't want to share our campaign, use our service! 20% of the profit we make during the campaign will go back to the project. Do you have a friend or a relative getting married? All we ask is to recommend us. We promise we will take care in the best possible way...! Please believe in us as much we believe in our success! We won't let you down! Shout out on social media to let everybody know how wonderful you are! 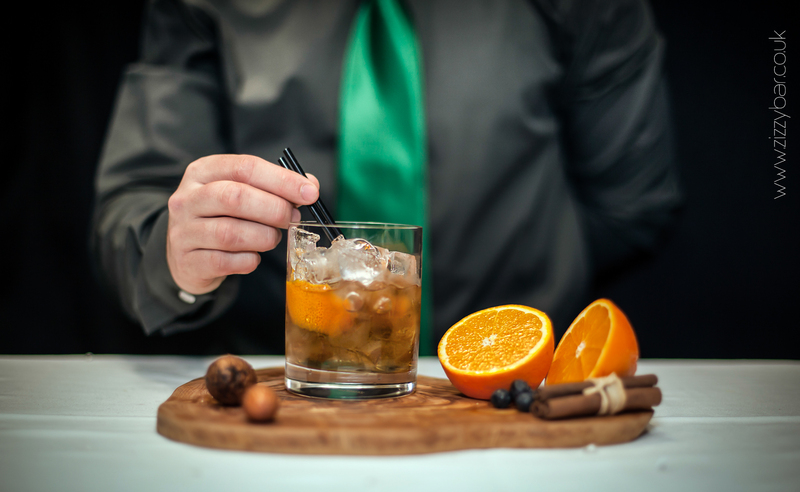 Fancy a particular drink, but don't know how to make it at home? We are here to help. Give us the name and we will send you a step-by step guide on how to prepare it! You will be sent a special certificate to proof how generous and kind you are. Please don't forget to print it out and put it on your wall! You are so lucky! We will be sharing with you our secret recipes for new special Zizzy drinks, before anyone else! How exciting! 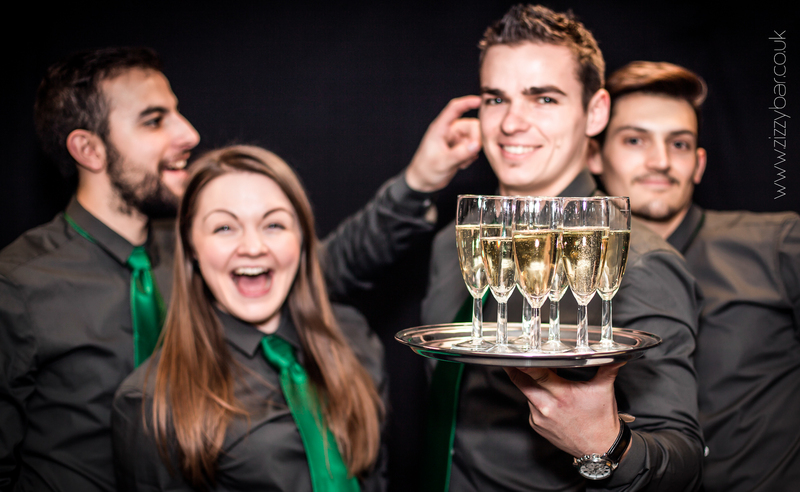 Specially designed one day professional bartending course of your choice! As a compliment we will come to your dinner party (within 30 miles of Colchester) and serve you and your guests ( up to 6 people) for 3 hours. Wine and beer included! Sponsorship Package: we will put the name of your business on all our equipment ( incl. 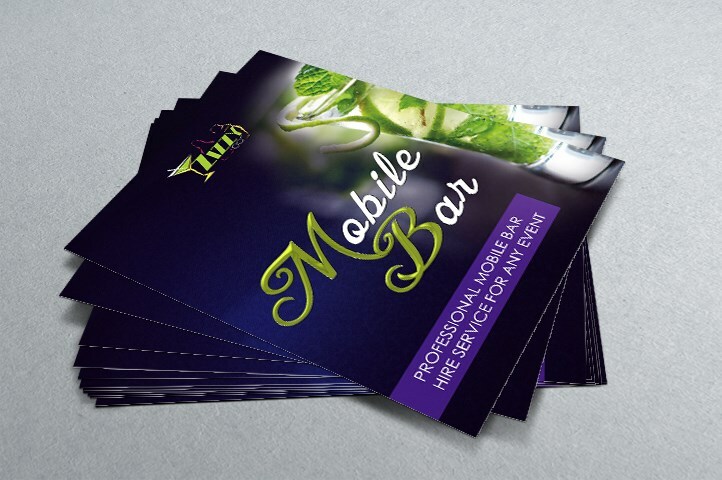 the wooden bar)+ promote your company on our website and social media.